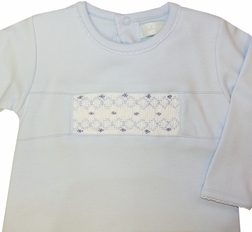 Lovely blue pima cotton gown for baby boys by Maria Elena's Baby Threads. 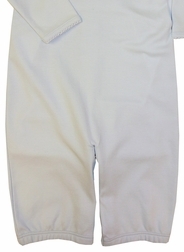 The gown is smocked across the chest with blue embroidery and converts to a romper with snaps. Two outfits in 1!